City Fire Training fire risk assessors London team provide a fire risk assessment London and fire risk assessments flats London service. We also write workplace fire emergency plans, advise on fire risk assessment frequency and also supply fire risk assessment checklist advice. Our inspection information reports will also pass Fire Service audits. In addition, we provide fire emergency plans that will meet LFB inspection standards. The Fire Safety Order 2005 requires all workplaces to have a fire risk assessment and also a fire emergency plan.The assessment report and fire fire emergency plan must be in writing if there are five or more employees. Our fire risk assessors London team can produce your plans and carry out your fire risk assessments, so that your building is safe. Our team has carried out thousands of fire risk assessments London inspections. We will make sure you comply with the law! Our fire risk assessors London team have all worked for the fire service. Our assessors are also on the IFE risk assessor register. With our fire service background you can be sure your workplace or fire risk assessment flats London report will comply with The Fire Safety Order 2006. 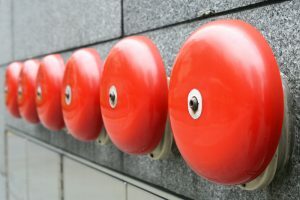 We provide colour coded fire risk assessments reports that allow managers to spot risks easily. You can also call us for more details once you have your fire risk assessment report. Our team provide PAS 79 and also PAS 79 style fire risk assessments. This means that our reports will pass LFBs inspections. Reports also include recommended fire risk assessment frequency and fire risk assessment checklist action plan. Our fire risk assessment London service is for types of buildings. Fees are based on the size of the workplace. The fee may be higher if the building is listed and also if the Fire Service has served a notice on the building. Fire risk assessment London inspections and reports can be completed within 3 working days. Our fire risk assessment London inspections are either morning or afternoon appointments. Reports for flats also include recommended fire risk assessment frequency and fire risk assessment checklist action plan. For details of this service either call or email us. Are you selling your flat or apartment? Then you may need to supply a fire risk assessment of the common areas of your building. Many sales are delayed if there is no fire risk assessment for the building. Our PAS 79 fire risk assessments for flats will pass LFB inspections and also satisfy requirements from solicitors. For more details of our fire risk assessment London or fire risk assessments flats Lodon either call or email us. Fire risk assessment frequency will depend on the risk in a building or workplace. For example the fire risk assessment frequency of flats will be much less than the requirement for a care home. and also a minimum annual review. Our fire risk assessor London team can advise on fire risk assessment London frequency. In addition, we can set up an annual audits for workplaces. If you are preparing your own fire risk assessments London, follow government guidance. This link takes you to the fire risk assessment checklist. Managers will be able to carry out their own fire risk assessment London in a small and simple building. However, we would recommend seeking the advice of a registered fire risk assessor if the building is larger or high risk. For more details or info about fire risk assessment checklists, either call or email us. Do I have to do a fire risk assessment in my workplace? Yes. You must carry out a fire risk assessment at your workplace and produce a fire emergency plan. The fire risk assessment must be in writing if there are five or more employees or volunteers in the workplace. How often should we carry out a fire risk assessment? The fire risk assessment frequency will depend on the workplace. You will also need to carry out a fire risk assessment if there are changes to the building structure, significant changes to work practices or significant changes in number of employees. Can we carry out the fire risk assessment ourselves? How often should fire risk assessment flats London be carried out? It is very unusual for the internal common areas in flats to change. We recommend that an initial fire risk assessment is carried out and then an annual review also undertaken. How much is your fire risk assessment flats London service? Do you offer discounts for multiple sites? The cost of the fire risk assessment for flats service will depend on the size of the building and also whether any notices have been served on the building / responsible person. We do offer discounts for multiple sites. The discounts can be larger if the sites are near each other and so that the inspections can be carried out on the same day. Fire risk assessment London – How quickly can you carry out a visit and provide a report? We can usually carry out a fire risk assessment London inspection within a few days. Writing the report can also be be carried out in a day or so but this may take a little longer if they are several issues to resolve. All of our reports are prepared by the assessor who has a fire service background. They will then be checked by our senior fire risk assessor. How often should fire risk assessments flats London be carried out? After we have carried out a fire risk assessment flats London visit, a landlord may have some work to carry out. If this is complicated, it may be wise to book us in for an additional inspection. If there are no or few significant findings, it may be appropriate to just review the fire risk assessment report and findings once per year. This could be done by the landlord or agent. Can you supply references and insurance details? Yes we can provide references from previous fire risk assessment London clients. In addition, we can supply our insurance details to clients. Do you give advice after fire risk assessments London inspections have been carried out? Yes our fire risk assessors London team do give advice after the assessment. Our assessors will speak to you or your contractors if they are unsure how to improve fire safety. After FRA advice is normally limited to a a couple of emails or a couple of phone calls. For more complex advice please ask us for our fire consultancy rates. What fire safety checks do we need to carry out in our workplace? Click on the links for more detailed information about the topics. A suitable and sufficient fire risk assessment. Pas &( fire risk assessments are recommended so these will pass LFB inspecting officers site inspections. Ensure escape routes are fitted with smoke detectors and not heat detectors. Extend fire alarm as hey building was undergoing some changes and renovation. Remove locks from doors which were on a fire escape route. Keep a fire exit available to an adjoining building. Basement and ground floor requires one hour fire resistance. Carry out a structural survey on external metal escape staircase. Replacement of fire shutter to maintain a single means of escape. Address compartmentation in boiler room. Introduce a fire zone panel diagram adjacent to fire alarm panel. A new fire risk assessment will be required once any works are completed. In addition, the fire emergency plan will also need to be changed to reflect any works carried out. Are you a fire safety supplier? If you supply fire alarms, emergency lighting, fire risk assessments London and fire extinguishers. Our fire risk assessors London team can carry out fire risk assessments London for your clients. The fire risk assessors London team will provide a report for your staff so that they can make any improvements required.